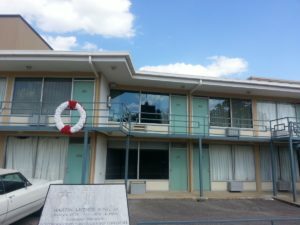 April 4, 2018 marked the 50th anniversary of Martin Luther King’s assassination at the Lorraine Motel in Memphis, Tennessee. Christian leaders gathered April 3-4 for the MLK 50 Conference to teach and learn from each other about racism in the church. One of the panel discussions included two of my favorite Christian leaders: Crawford Loritts, my pastor, and Beth Moore, a Bible teacher. Their panel topic was, Evangelicals and the Future of Racial Unity. I was gripped with what Crawford said when asked, “Where do we go from here?” “It gets exhausting to continue to answer that question, ‘Where do we go from here? '” he said. “And the more appropriate question is, ‘Why haven’t we gone from here? '” (21:26) Yes, Crawford, why haven’t we? Why haven’t we gone from here? We have prescribed to a pampered gospel. I am starting to understand something about racism in the church. For years now I have been limiting my response to just checking my own heart and making sure I am not racist. But this past week, I began to comprehend the larger issue. My response to racism needs to be broader than my individual views. I need to have my heart gripped with conviction and repentance over the active role I have been playing in a church structure that still systematically marginalizes people who are not white. One of the points Russell Moore made in a speech I posted below is about a sad part of church history. White people used to attend a lynching and then go to church. I was sick to my stomach envisioning that reality and it prompted a light bulb of understanding to switch on. You might be thinking, “Those people lived in the past. We today are not responsible for their behavior.” I am not responsible for another person’s sin, that is correct. But I am responsible for perpetuating a system by my active participation, and doing so while selectively addressing its flaws. We have done the same to our church family members. Repentance is rightfully demanded. What does repentance look like? Here is a tweet from Beth in response to a thread about what repenting might look like: Lord, I repent of being complicit in and contributing to racism and white supremacy in the church by profiting off a system that was unjust to people of color. Forgive me for thinking it was enough to simply say and believe it to be true, “I’m not racist.” Forgive me for my passivity. I have repented. Perhaps you would like to join me. White Christians owe people of color our deepest apologies spoken from genuinely repentant hearts. And we need to immediately begin demolishing the “Christian” structures in the body of Christ that have protected some and damaged others, that have entitled some and marginalized others. Together, we are the body of Christ. We are in this Kingdom story together. I want to thank the marginalized Christians who have not given up on repeating themselves over and over again. You have been patiently enduring evil. (2 Timothy 2:25) We needed the repetition in order for the deeply rooted paradigms to shift, paradigms that were taught to us and modeled for us. I am unbelievably sorry about what I now see. I am ready to do my part to break these bonds and move forward, not as an individual, but as a vital member of the entire body of Christ. Picture Explanation: Speakers from the MLK 50 Conference. Have a listen! I am right beside you, friend. Thank you for posting these video clips and for modeling a right response to racism today. I am thankful I am slowly see the broader problem. I can’t repent if I can’t see it.